Some people have health insurance coverage both from Medicare and some other plan, such as employer-provided health insurance. In some cases, Medicare is the primary payer, which means it is responsible for paying for covered charges before any other plans, which are called secondary payers because they're responsible only for covered charges left unpaid by the primary payer. In other cases, the other plan is primary and Medicare is secondary. The determination of which plan is primary rests in Medicare regulations and the nature of the plans themselves. If you’re in this situation and Medicare is a secondary payer, you can make it primary, but usually only by changing the circumstances of your other coverage. People on Medicare often have other health insurance coverage, generally provided by a current or former employer. Many people who have reached age 65 have Medicare as well as coverage provided by their own or their spouse's current employer. In such cases, the group health plan is the primary payer unless the employer has less than 20 employees, in which case, Medicare is primary. Retirees with Medicare may also have health coverage from their former employers. This may be retiree coverage specially designed by the employer, or it may be COBRA coverage, the continuation of the employee's coverage after employment ends, paid for by the employee. In these cases, Medicare coverage is always primary. The same is true of people who have both Medicare disability coverage and COBRA coverage. If you’re disabled and covered by Medicare and also by an employer-provided large group health insurance plan, that plan is primary if the employer has 100 or more employees; otherwise, Medicare is primary. Medicare supplements, also referred to as Medigap policies, are designed to cover the deductibles and co-insurance required by Medicare; thus, Medicare is always primary relative to Medicare supplements. Medicare Advantage plans, on the other hand, replace Medicare. For participants who elect coverage by a Medicare Advantage plan, the MA plan is primary, and Medicare isn’t a payer at all. If you have health coverage from both Medicare and Medicaid, Medicare is primary. If you have any other coverage in addition to Medicare and Medicaid, such as an employer-provided plan, Medicare is secondary to that plan. If you have both Medicare and Veterans’ health benefits, you’re in a special situation, and must select which program will pay for services when those services are rendered. Note that VA benefits only cover services provided in VA facilities or specifically authorized services in non-VA facilities. Generally speaking, neither program can be used as a secondary payer relative to the other. One exception is if the VA authorizes services in a non-VA hospital and you receive other services as well, Medicare may pay for covered services not authorized by the VA. If you’re covered both by Medicare and TRICARE, a program for the uniformed services and their families, TRICARE covers services provided by military and other federal facilities, and Medicare is primary for covered services from non-federal providers. TRICARE usually pays Medicare deductibles and co-insurance, as well as costs not covered by Medicare but covered by TRICARE. 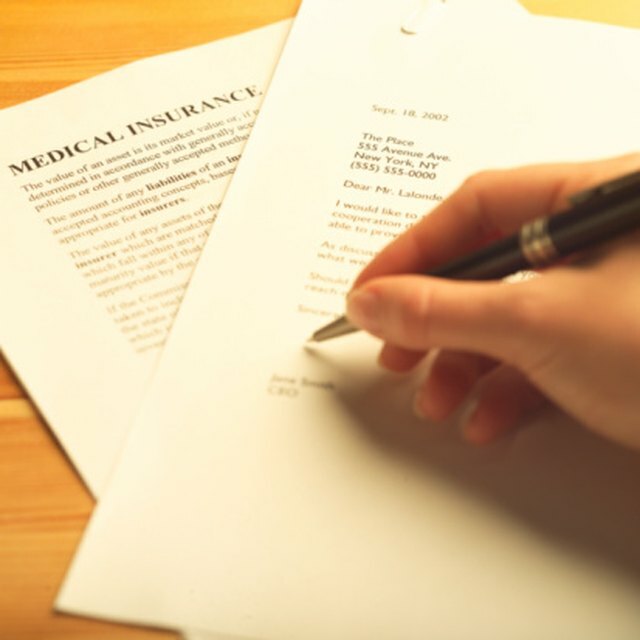 In addition to the rules addressing Medicare participants who are covered by other health insurance coverage, additional rules apply to special medical circumstances. If you’ve been injured in an accident and no-fault or liability insurance is involved, that coverage is primary and Medicare is secondary. If you’re receiving treatment for a job-related illness or injury that’s covered by a WC claim, WC is responsible for the services related to the claim. Deductibles and co-insurance usually aren't involved in such claims, and so Medicare doesn’t come into play as a secondary payer. However, Medicare is primary for all covered services not related to the WC claim. If you have ESRD and have Medicare and group health insurance, including coverage from a former employer, the group plan is primary for the first 30 months of your eligibility for Medicare, after which Medicare becomes primary. If you have black lung disease and are covered by Medicare as well as the federal Black Lung Benefits Program, it is primary for all services related to the disease, and Medicare is secondary. However, Medicare is primary for services not related to black lung disease. If you’re in a situation where you have Medicare and some other health coverage, you can make Medicare primary by dropping the other coverage. Short of this, though, there’s no action you can take to change Medicare from secondary to primary payer. If you drop coverage from some other plan, you may lose any rights under that plan, including the right to re-enroll at some later date.